When I take the kids out to parties and outings, I always like to bring something. Even when I get together with friends, I usually pick something up. I normally buy baked goods at the store. I know making something myself would be less expensive and probably better received, but when it comes to being crafty with food, I am hopeless. Just getting the icing to look neat is a challenge. Forget any other fancy decorations. Having stuck up moms laughing at my cupcakes is enough to give me flashbacks of my high school years as the bookworm nerd. But at Cupcake Cuties I found a way to make treats that will make even the snootiest moms stand up and take notice. When I saw the pictures of the Cupcake Cuties online, I really doubted I would be able to do them myself. They were just too cute. But I figured with my husband's help they should come out okay. He is a chef after all. I was amazed to find out I didn't need him at all. Once the cupcakes were ready, the simple step by step instructions were easy to follow. We got the football cupcakes which were perfect the for the football themed party my son was going to. 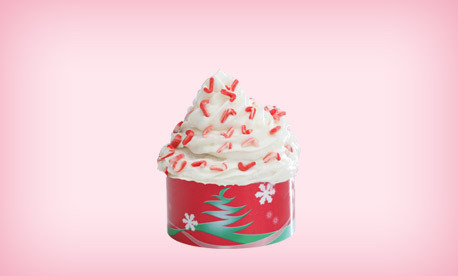 First you wrap the cupcake in the decorated sleeve, which I found keeps the icing from getting too messy. Then I added some green sprinkles and a few simple white lines. I was amazed to find I had perfectly decorated cupcakes in minutes. And they were a really big hit at the party. 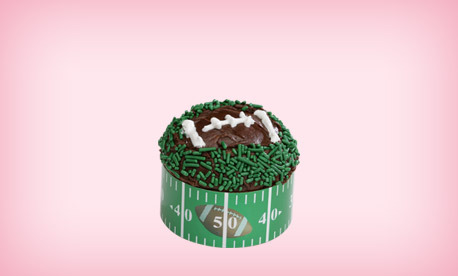 In addition to the football set, there are dozens of other adorable Cupcake Cuties to choose from. They have pumpkins for Halloween, Santa for Christmas, all different sports themes, and more. They even have some that would be perfect for bridal and baby showers and of course lots of choices for birthdays. To learn more about this great company and all they have to offer, you can visit their website. While you're there make sure to check out the Cutie of the Month. To keep up with the latest promotions, you can follow them on twitter or become their on face book. With the holidays coming, there are lots of parties to go to, and one of the things I'm sure I'll be taking along are some Cupcake Cuties.